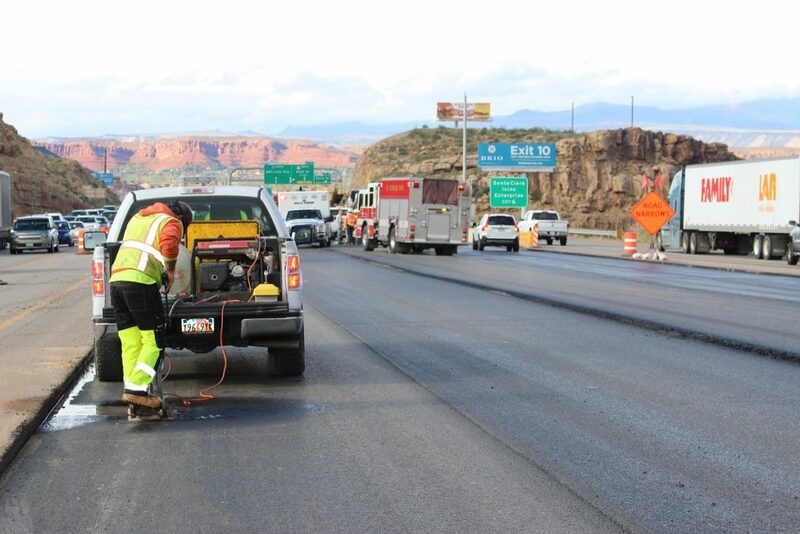 ST. GEORGE — A construction crew escaped injury after an alert St. George Police officer used his lights and siren to warn the men that an erratic driver was barreling toward them as they worked in a restricted construction zone on Interstate 15 Saturday evening. The 84-year-old driver narrowly missed the construction crew who quickly scattered as they looked up right before the man crashed his vehicle into a parked work truck. 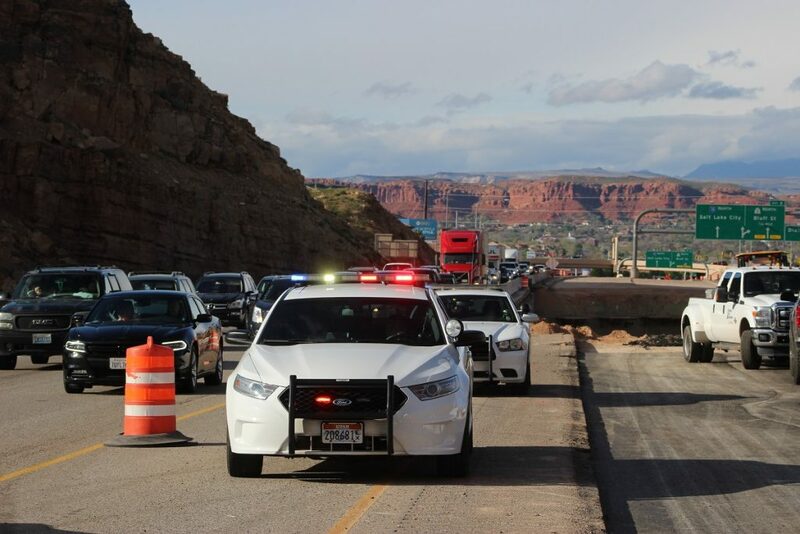 “Thankfully none of the guys working out here were hit or injured,” said Utah Highway Patrol Trooper Grant Hintze, who responded to the crash site. 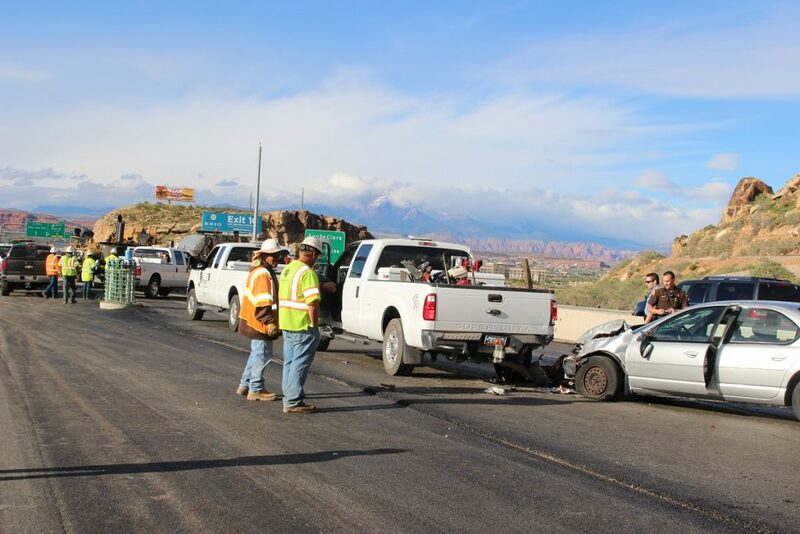 Nearly 10 construction workers were toiling on the interstate road improvement project near Exit 4 between Brigham Road in Bloomington and the Dixie Drive Interchange at the time of the 5:30 p.m. crash. Arriving officers found an injured man inside a silver Chrysler 4-door passenger car that was crushed into the rear bumper of a white work truck, Hintze said. Emergency medical personnel also arrived and checked the man for injuries. He was transported in stable condition to Dixie Regional Medical Center for evaluation. 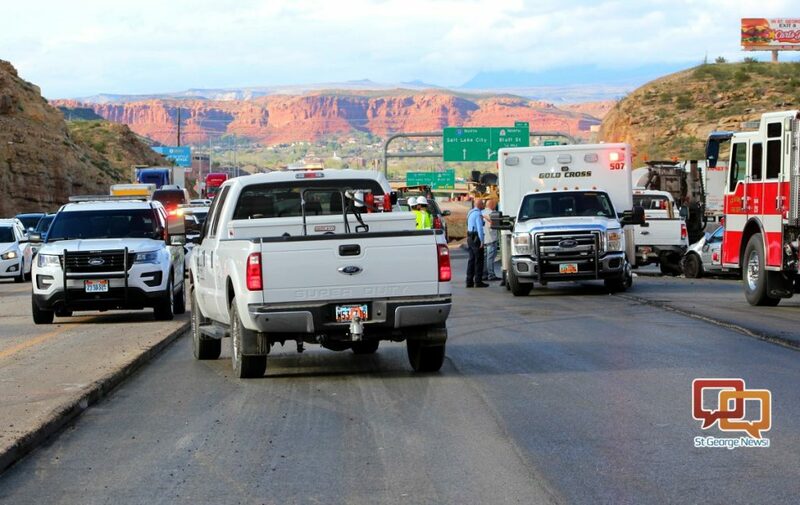 The incident first came to the attention of police shortly after 5 p.m. when the St. George Communications Center began receiving 911 calls reporting an erratic driver headed north on I-15 through the Virgin River Gorge, Hintze said. 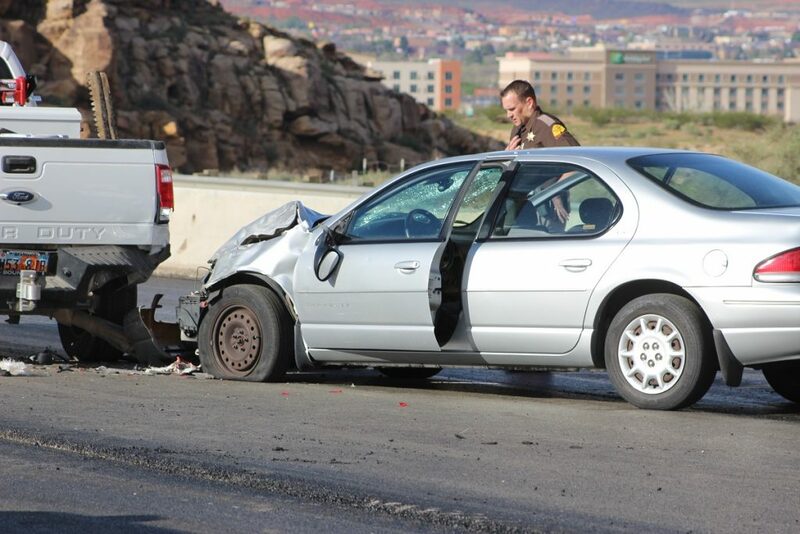 A St. George Police officer was dispatched and within a few minutes spotted the Chrysler northbound on I-15 with the first reporting witness traveling directly behind the vehicle and still on the phone with 911. 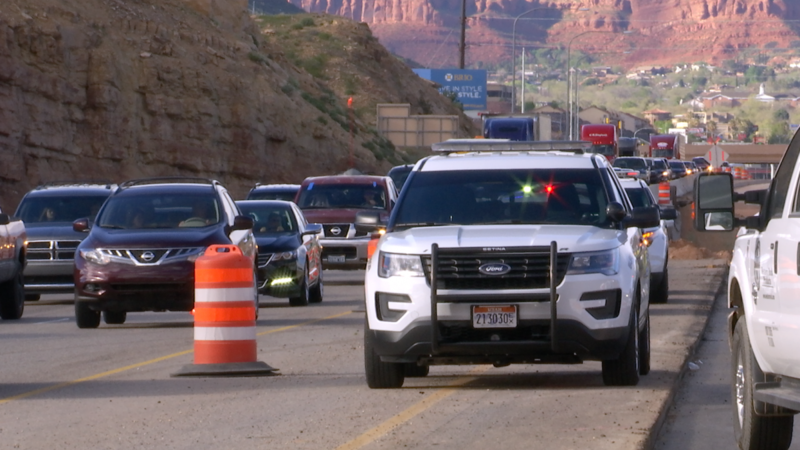 As the officer approached the Chrysler with his emergency lights and siren on, he tried to get the driver’s attention. 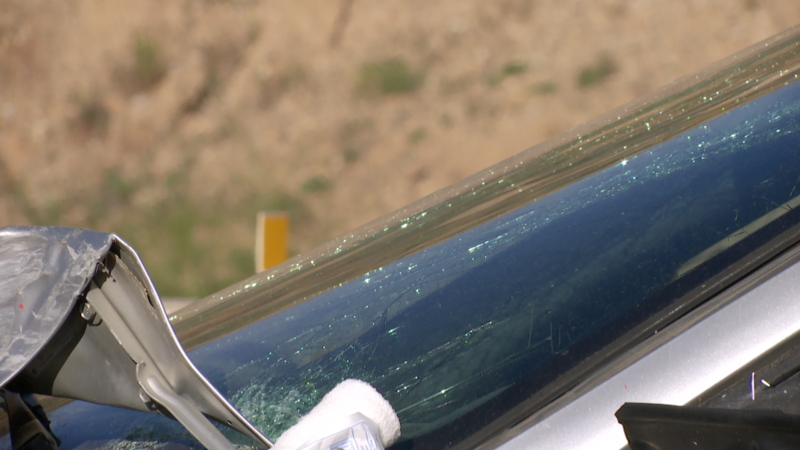 However, before he could motion for the driver to pull over the driver swerved his vehicle toward the patrol car, Hintze said, forcing the officer off the roadway. 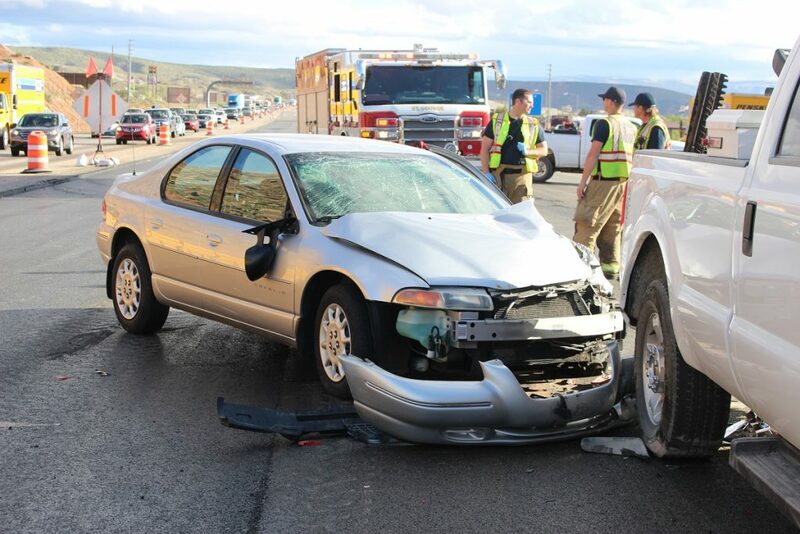 The Chrysler then veered to the left before it crashed through the safety cones and entered the construction zone situated between the north and southbound lanes of I-15. A road crew was working less than a mile ahead, the trooper said. Seconds later the Chrysler crashed into the rear of one of several trucks parked in the area where the crew had just been working. The Chrysler was extensively damaged and towed away while the pickup truck remained in the construction area at the time of this report. Numerous responders tended to the scene and traffic was backed up in both directions for more than a mile. In less than 30 minutes traffic began slowly moving through the area. Traffic returned to normal within an hour, the trooper said. 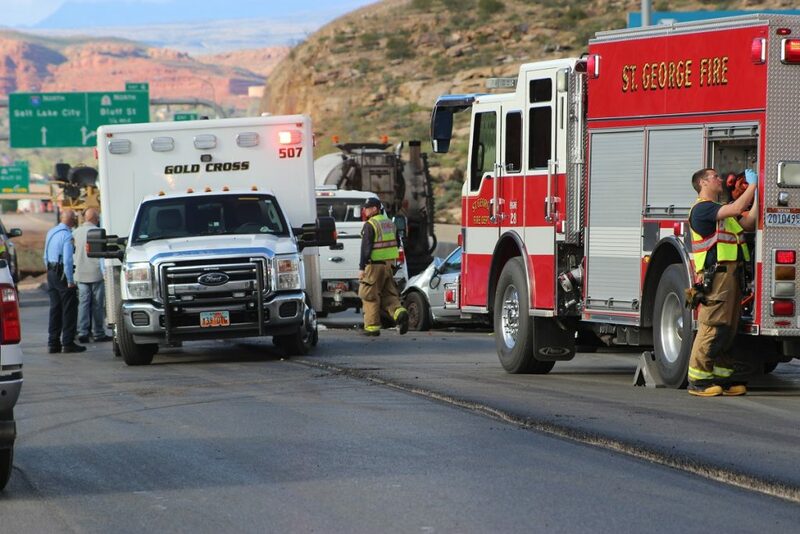 The Utah Highway Patrol, St. George Police Department, St. George Fire Department and Gold Cross Ambulance responded and tended to the large scene. The high percentage of elderly in Washington County and the Minimal alternative transportation options means these type of events will become more common . There are now tho more express shuttles running the I – 15 route between Idaho & Las Vegas so maybe more people will start booking them ? I’m betting the driver had “a medical condition,” of some kind or other. Even though it would affect me, I’d like to see seniors over 65 have to take a road test to renew their licenses. Pulling someone’s driver’s license means depriving people of their basic ability to move about as they want. And it is a terrible thing to have to do. Until you look at how much more terrible it can be to allow someone with deteriorating eyesight, hearing, coordination, and quite possible mental acuity to continue driving. Here are fatal crashes by age group, The following facts are based on analysis of data from the U.S. Department of Transportation’s Fatality Analysis Reporting System (FARS).